DOCUMENT MANAGEMENT with ISETIA is truly an adventure. It’s complex, flexible, secure and innovative. It covers all necessary tools to manage, collaborate, edit and circulate documents in extra ordinary visualized way. Move from copy & paste, folder & subfolder standard reality to multidimension, transparent and multifunctional world. 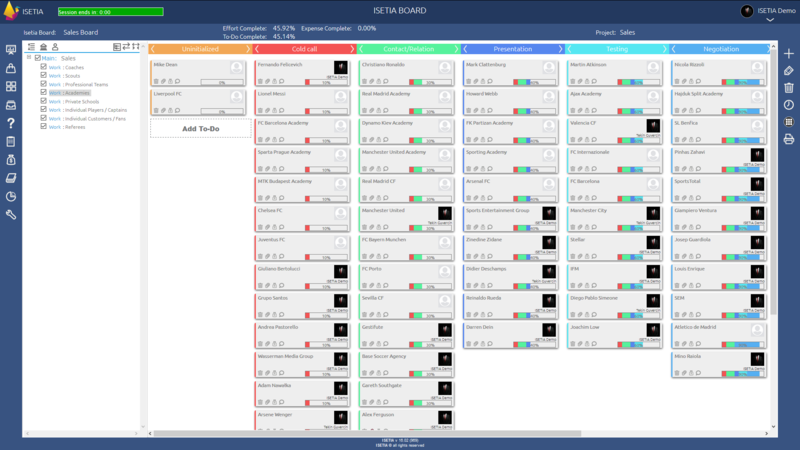 3P MANAGEMENT Welcome to the exeptionally unique heart of ISETIA where management of project’s scope, based on wbs’s and classic gant charts, is directly integrated with innovative isetia board features, grounded in agile and kanban project’s techniques. Just with one click in isetia 3p Management Module, open new world of unlimited opportunities which allows you detailed management of the elaboration of each project’s deliverables. COST MANGEMENT All type of activities such as planning, estimating, budgeting, financing managing and controlling costs can be completed in ISETIA. ISETIA Cost Management module covers the full life cycle of a project from the initial planning phase towards measuring the actual cost performance and project completion. So if you need valuable help to define cost control procedures, track and approve changes and apply analyses also if you really want to know how much your project will cost, and how much it actually costs, you should use ISETIA. RISK MANAGEMENT How to deliver your project on time, on budget and with demanded quality in risky environment? Make risk management part of your project and work it out with ISETIA. You can gain a lot of money if you deal with uncertain project events in a proactive manner and take care about opportunities. 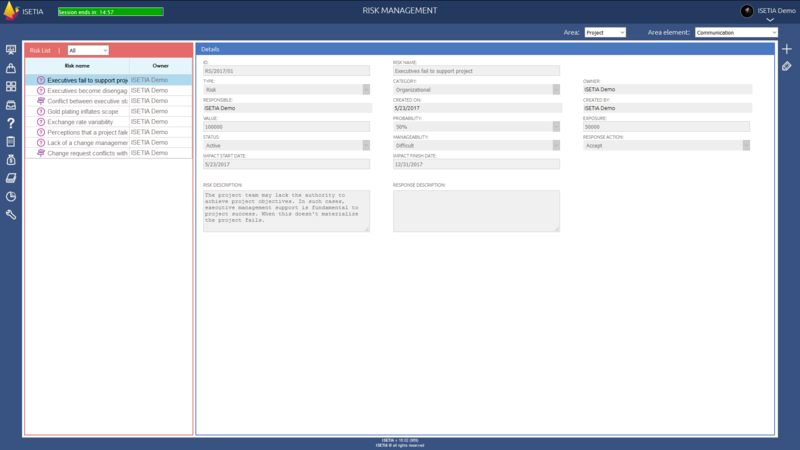 Minimize the impact of project threats and seize the opportunities that occur, then face consequences of risks, plan and deal with them using dynamic ISETIA risk management module. ISSUE MANAGEMENT In the life cycle of any project, there will almost always be unexpected problems and questions that crop up. ISETIA allows you to be ready, to beat them and deal with them to avoid potential effects of the projects outcome. ISETIA issue management guarantees a safe and reliable method for the team to raise, assign responsibility, track, analyze and prioritize issues easily. Finally record issue resolution for future reference and project learning. LESSONS LEARNED Each experience brings new lessons. in case of organization, saving all of them only in employee memory is not enough to work out best practices or to avoid mistakes by other team members. Organizations of all sizes have a huge amount of knowledge and experience that is not being fully utilized. 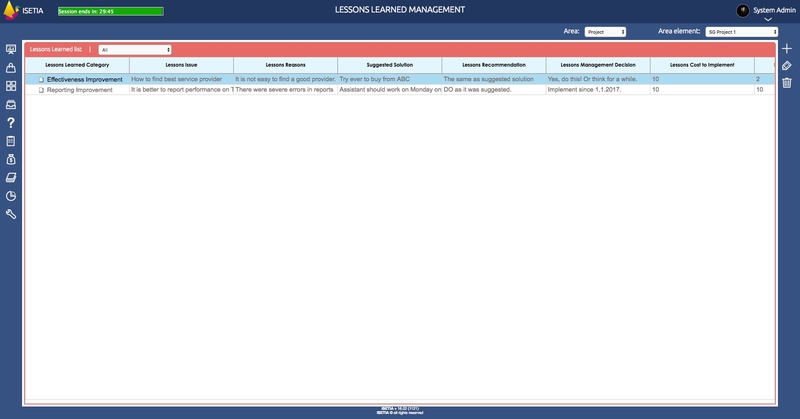 By building, maintaining and using a lessons learned database, this information can be used to improve project processes. This will finally lead to the consequent financial advantage for relatively little effort. 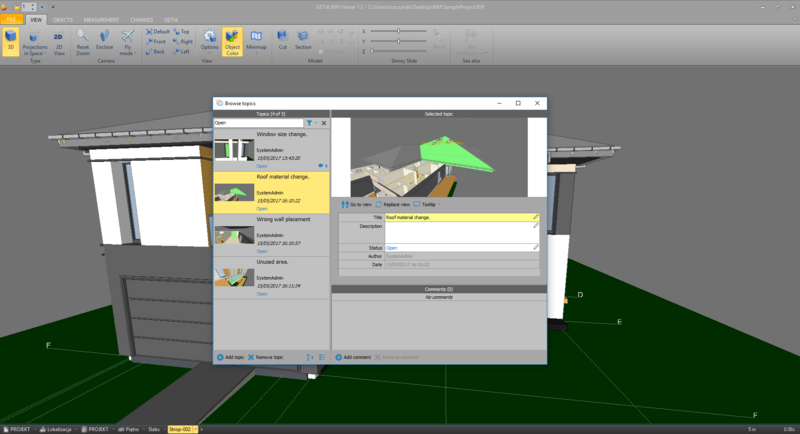 BIM VIEWER Use of BIM goes beyond the planning and design phase of the project. It extends throughout the building life cycle, supporting processes including cost management, construction management, project management, process management and facility operation. 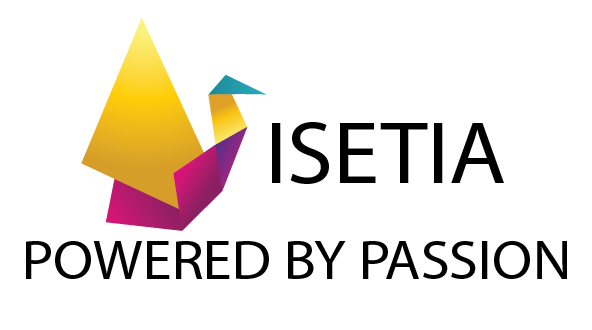 FLEXIBLE STRUCTURE ISETIA introduces revolution move from standard reality of folders & subfolders into the tailored private information zone. Work flexibly and comfortably with unique horizontal and vertical structure of documentation which will allow you to shape your own configuration of information. 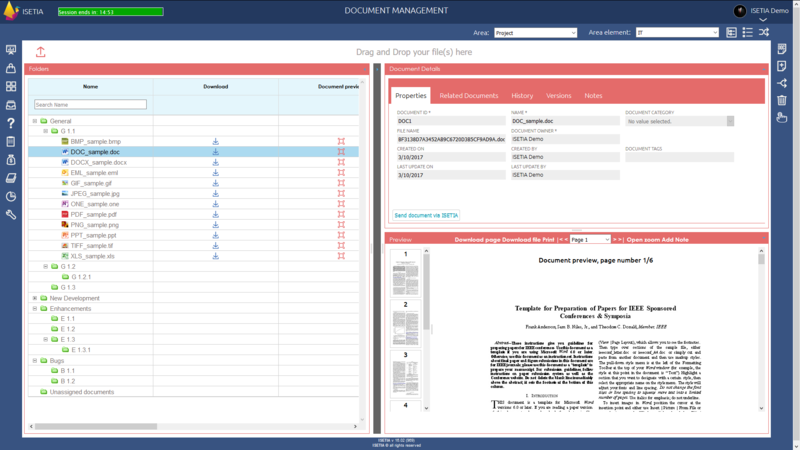 TRANSPARENT DOCUMENTS FLOW AND REVISION Document flow and revision options make collaboration with information efficient, easy and transparent. Revision option is a 1 to 1 document exchange. Just send document directly to one person, asking for a feedback. 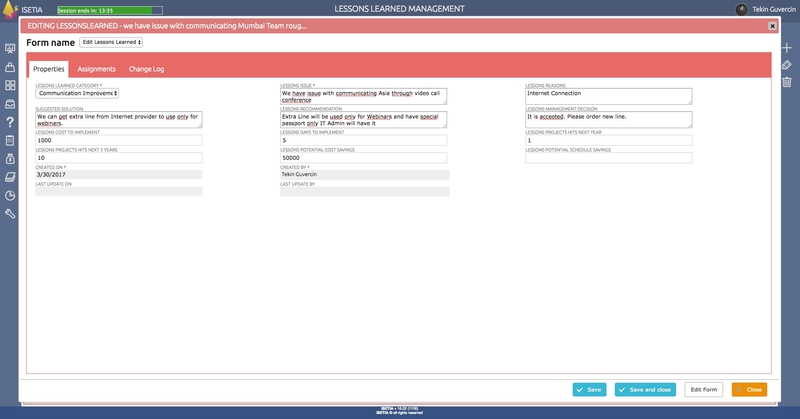 Use flow to communicate with more members – send file with request for approval including all cascade path of management or ask colleagues for notes and remarks by sending file to all of them at once. Track flows and revision which you created and get notified about all changes and progress till the closure. 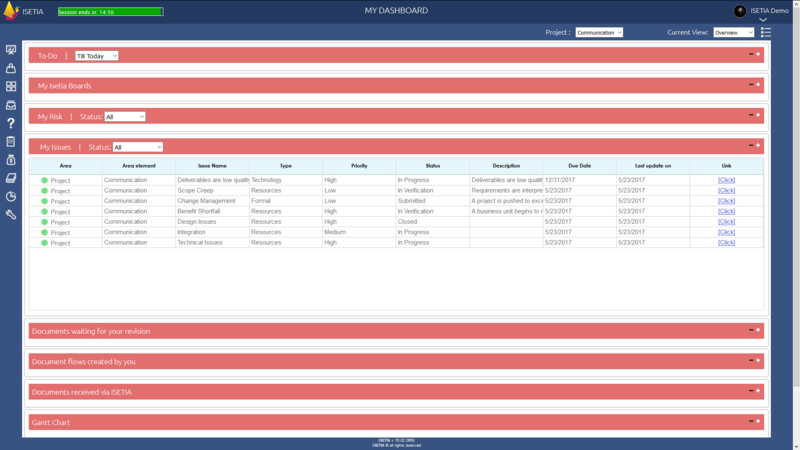 If needed check log where you will find all activities taken by users on a particular document. 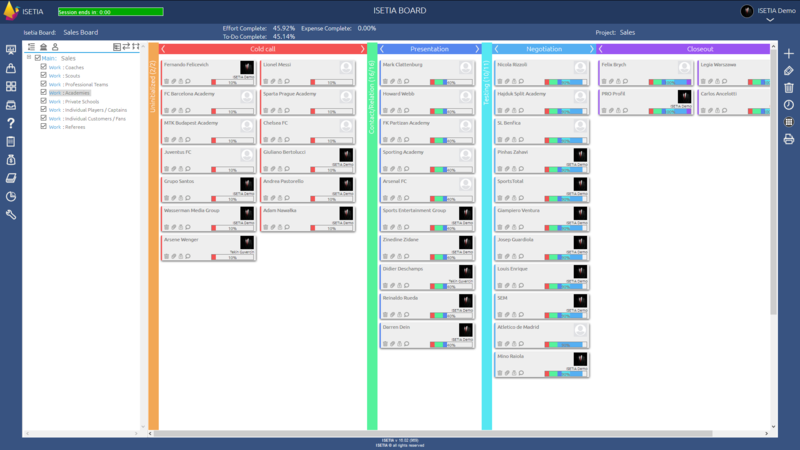 Flows and revisions are shown on ISETIA Dashboard® in visualized and consistent way. MULTIDIMENSION RELATED DOCUMENTS MECHANISM AND VERSIONING In ISETIA you get multidimension structure with ability of creating relations between documents in purpose of making packages. Such related documents mechanism improves the way of working and takes you from copy & paste reality to multidimension world. Instead of losing time on manual copy & paste of files, create relations between documents in transparent, logical structure by having the same file in few places at once. Versioning functionality guarantees that everyone always work with the latest version. 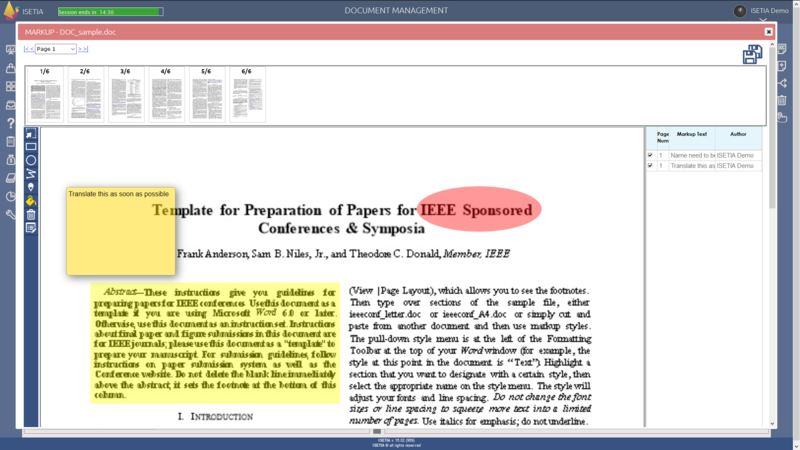 AUTOMATED ARCHIVIZATION Uninterrupted document circulation is critical during projects execution. Structure is a key point to keep an order of complex documentation. 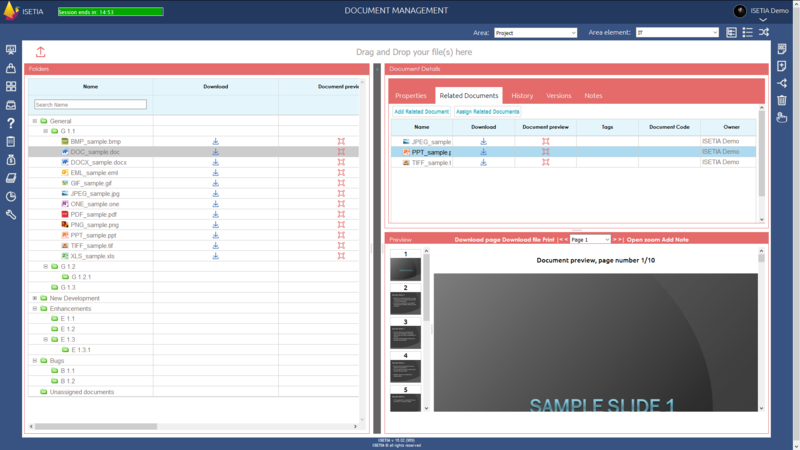 Instead of foldering docs, put them to one place available for every team members and create structure that suits you. Centralized, cloud-based repository gives full access from any place. INSTANT VISUAL COMMENT Markup option gives ability to put comments and notes directly on document in an innovative drawing way. Draw what you mean. Quickly and precisely pass your message. EXTENSIVE SECURITY Easily collect your documents securely online with ISETIA thanks to strong encryption. Anyway, all data is daily (customizable) automatically backup. Expanded internal security is build up though variety of privileges combination based on global or project’s roles and on individual users. HANDY WEB-BASED PLATFORM Access your documents from multi-tenant web-based platform. ISETIA is 24/7/365 service, available from any place of the World, with basic hardware requirements. ASSIGN COSTS TO ANY UNIT OF WORK – from the smallest up to a largest one. Expenses may be assigned directly to WBS element, ISETIA Board®, ToDo or task which make a project. They may be also assigned to portfolios, programs or project. Just allocate them where they were incurred. Each work unit, whether elementary or aggregated, may have any number of expenses appointed to. CLASSIFY AND TRACK. Costs may be classified according to any list of categories which you have in your company or in your project. You may separately plan and track, for instance salary expenses, assets, materials etc. PLAN AND PERFORM. Usually firstly you plan an expense and later on perform some transactions, like buying or paying for service after which the expense becomes actual. Sometimes you pay in tranches. In addition you may create one or more actual charges for a planned cost. In each of actual payments assigned to given planned expenses you provide standard data like quantity, unit price, description etc. EXERCISE CONTROL OVER YOUR BUDGET. 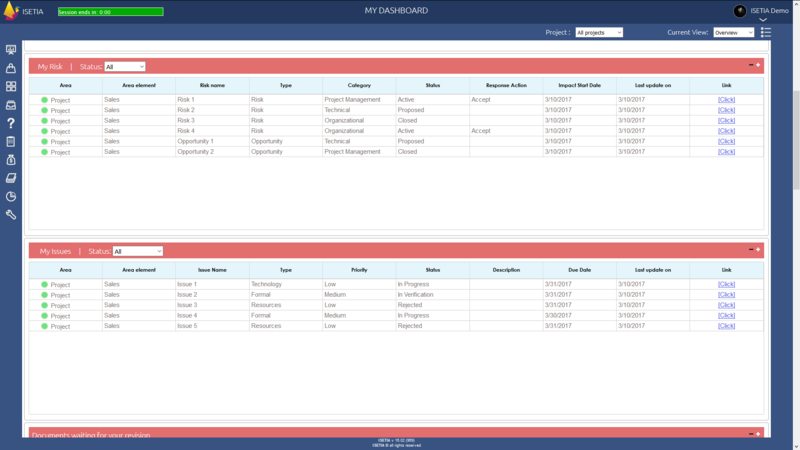 ISETIA automatically summarizes planned and actual expenses and presents percentage of work execution. The other type of cost control is the mechanism of remaining expenses. ISETIA knows what amount of money was planned and how much has been already spent. The amount of remaining budget is calculated on the basis of these values. When you exceed planned budget the system raises alarm but allows for next spending. The prices might have changed, after all. Cost control may be performed in several places in ISETIA. The simplest way to have control over your budget is just browsing expenses as they were input to ISETIA. You may see and manage them from the side of work units, to which they were ascribed. 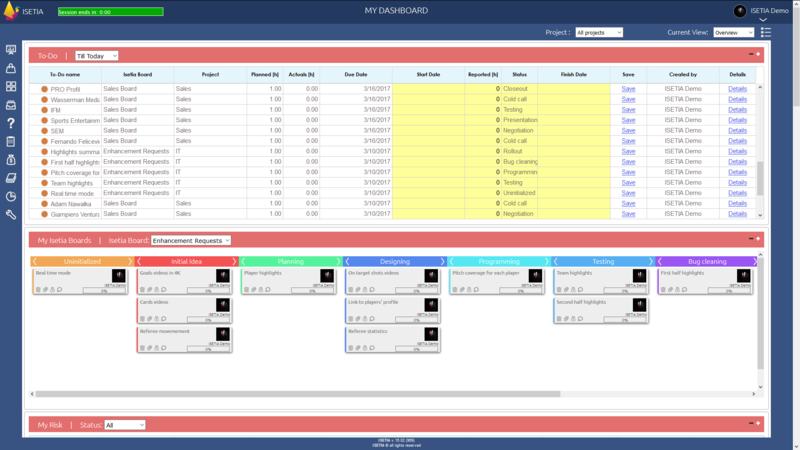 Moreover in ISETIA Dashboard® there is a portlet designed just to summarize your expenses sorted according to requested categories. REPORT WITH IMAGINATION. You may report costs in tabular, linear, pie chart and other types of reports by using extraordinary visualization forms. ATTACH DOCUMENTS. Expenses may have documents related to them. There are several types of documentation which can be relevant: orders, work specifications, invoices etc. So you do not have to search through all the document repository to find any paper related to your expense. There may be documents related to costs like orders, invoices, detailed specifications and so on. You may assign them to any expense thus having full information about cost stored in one place. TAYLOR YOUR COST ENVIRONMENT. 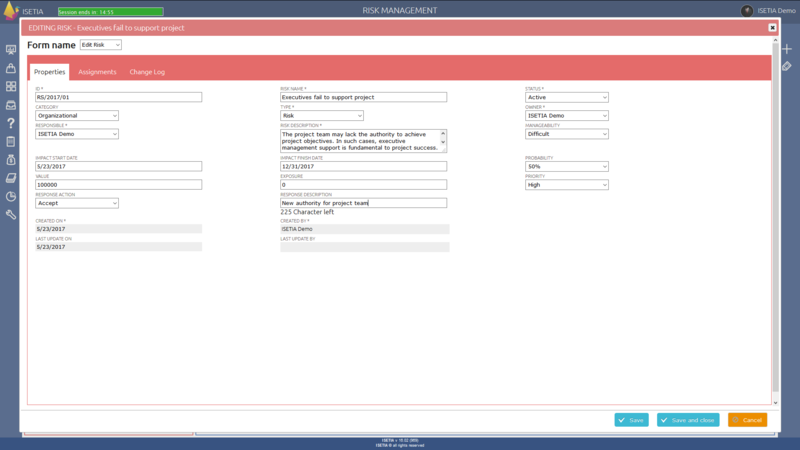 ISETIA cost management module is very flexible to be aligned with your needs. You may define some attributes as ISETIA dictionaries. There are expense categories, units of measures which can be easily established in it. There are plenty of attributes characterizing your expenses. You have data identifying them like identifier, name and description etc. Purchased items can be defined by their unit price and quantity. Its product makes the amount of price. You may define as well the unit of measure of purchased goods. There are also planned dates related to expenses, their currency and responsible person. EASY REGISTRATION of lessons learned item on the level of a specific project, program or portfolio, regarding on its nature.DISCLOSE A CENTRAL REPOSITORY of on both positive and negative experiences. A lesson identifies a specific process, or decision that reduces or eliminates the potential failures or reinforces a positive result. ISETIA proposes a dozen of attributes, which describe a single repository item. ISETIA BIM approach supports 100% BIM Construction Management Process. ISETIA BIM concept envisages virtual construction of a facility prior to its actual physical construction, in order to reduce uncertainty, improve safety, work out problems, and simulate and analyze potential impacts. Sub-contractors from every trade can input critical information into the model before beginning construction, with opportunities to pre-fabricate or pre-assemble some systems off-site. Waste can be minimized on-site and products delivered on a just-in-time basis rather than being stock-piled on-site. Boost building design, streamline information, integrate workflow, accurate cost estimation, improve lifecycle management, leverage effectiveness of maintenance and span all of it with building designs using ISETIA BIM Viewer. 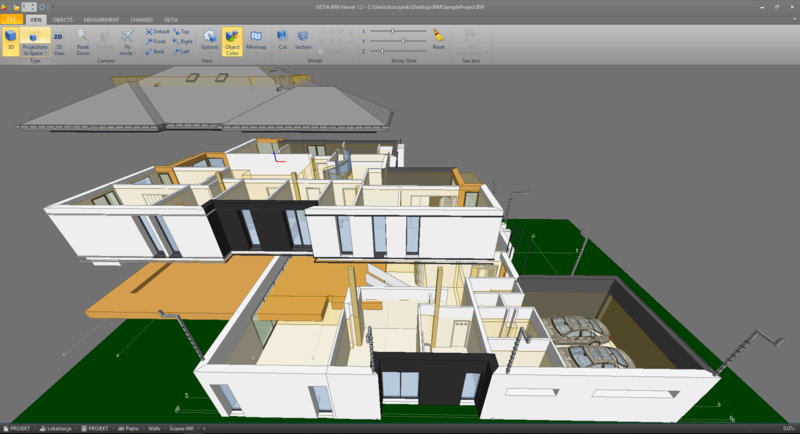 An adventure with dedicated module of ISETIA BIM Viewer will transfer your capabilities to other dimension. DISCOVER YOUR POSSIBILITIES IN MERGING PROJECTS Upload & Download IFC Files – In just one click, you can upload an IFC file and see your model directly online. Charts and graphics help to understand data and your management performance through precise metrics. ISETIA BIM promotes Open BIM workflow solutions by supporting IFC (Industry Foundation Classes). UNLIMITED MODEL CHECKING Collision verification – Participants in the building process are constantly challenged to deliver successful projects despite tight budgets, restricted in size manpower, accelerated schedules, and limited or conflicting information. The significant disciplines such as architectural, structural and MEP designs should be well coordinated, as two things can’t happen at the same place and time. 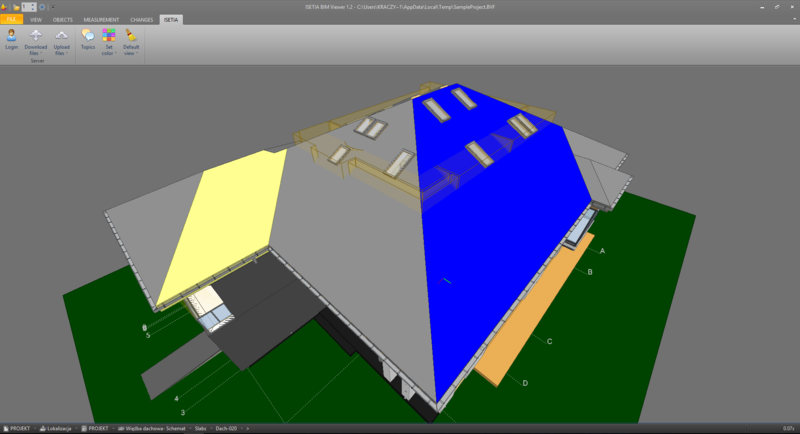 ISETIA BIM Viewer aids in collision detection at the initial stage, identifying the exact location of discrepancies. CLASH DETECTION Quantities and shared properties of materials can be extracted easily. 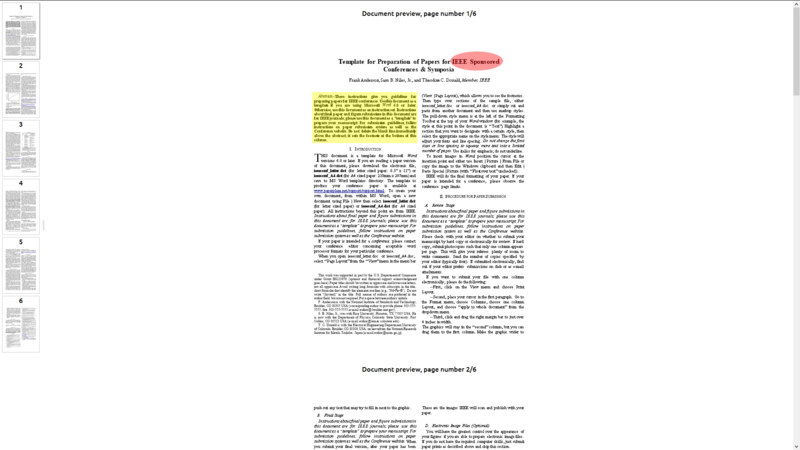 Scopes of work can be isolated and defined. Systems, assemblies and sequences can be shown in a relative scale with the entire facility or group of facilities. 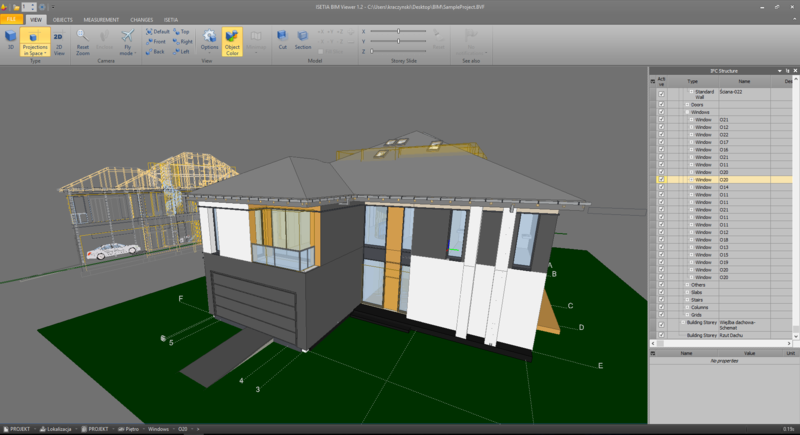 ISETIA BIM Viewer also prevents errors by enabling conflict or ‘clash detection’ whereby the computer model visually highlights to the team where parts of the building (structural frame and building services pipes or ducts) may wrongly intersect. Display your construction building from separated angles and save it up. ENHANCE BIM WORKFLOW Create, transfer and review your issues from different platforms accessible to the whole project team. Track issues, revisions, remarks. 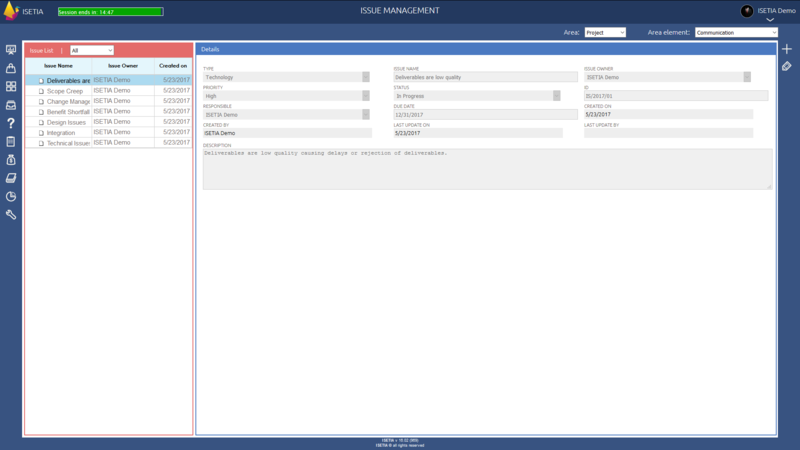 MANAGE ISSUES Create, edit, archive, filter, sort, comment, assign and merge issues. 3D VISUALIZATIONS See and create issues directly from your online 3D models. REPORTING Print reports to engage more people in to the coordination proces. NOTIFICATION SYSTEM Receive web and email notifications. CUT THE VIEW Share your object into separated section views and enjoy detailed analyze. MARK UP Highlight important areas with selected colors and emphasize importance of particular object’s parts. SAVING THE MODEL VIEWSUP Display your construction building from separated angles and save it up. TRANSPARENCY AND COLORING See-through objects elements like walls to find out what is inside of the model. Use several coloring functions to make it even more real. CONFIGURE ITEMS Find and group, filter, evaluate important for you objects data from the model. SLIDING FLOORS Focus on particular area of your construction like whole floor and sort it out by sliding out from model to be able clearly analyze inside details. CHECKING CHANGES Analyze your separate drawings from the differences between model revisions point of view. SELECT PREFERRED AREAS Choose and concentrate only on particular part of your object to have crystal clear perception. NAVIGATE EASILY IN THE MODEL Our navigation toolbar allows smoothly operate in 3D model.